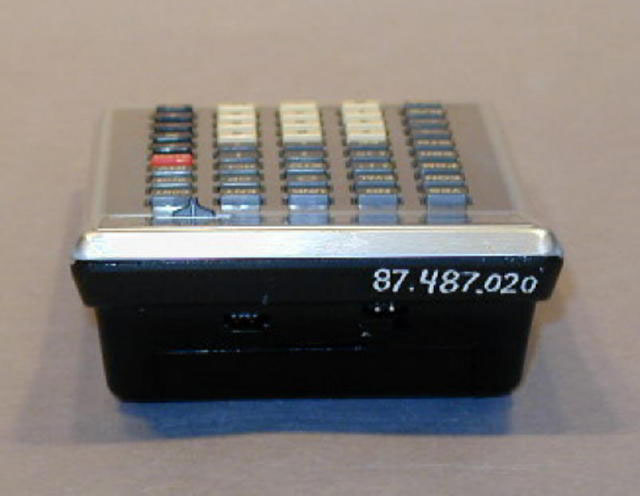 This calculator, serial number 2074, was built about August, 1982. It was one of the limited number of prototypes built for internal evaluation. A small portable plug-in printer was designed to work with the calculator. 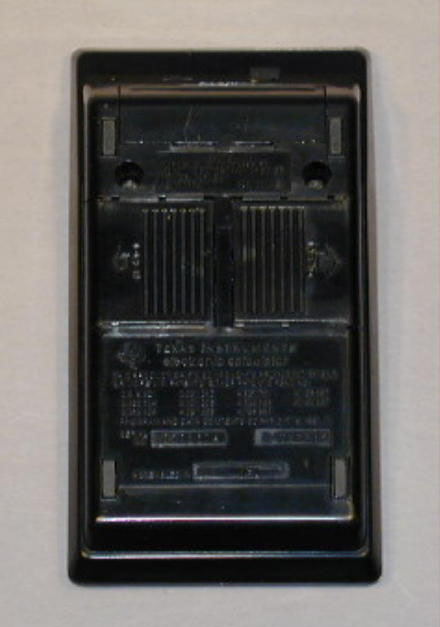 Although the calculator operated essentially as planned, it was not released for production. The projected manufacturing costs were to high and some minor problems required work. At the time, the division's major project was the TI99/4 Home Computer; and the required corrective effort was not available for the calculator. 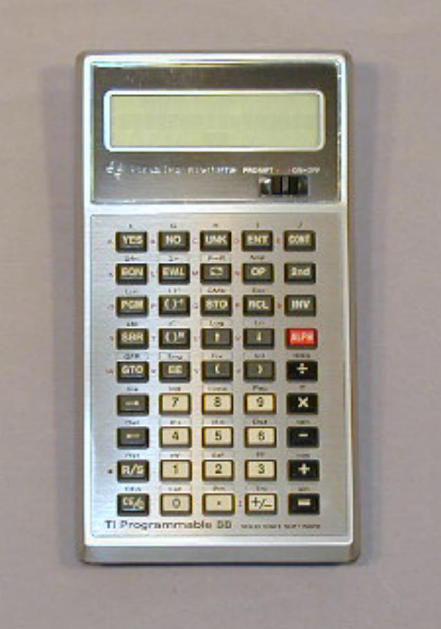 When work could be resumed, technical progress resulted in the decision to proceed with more advanced designs, such as the TI95.